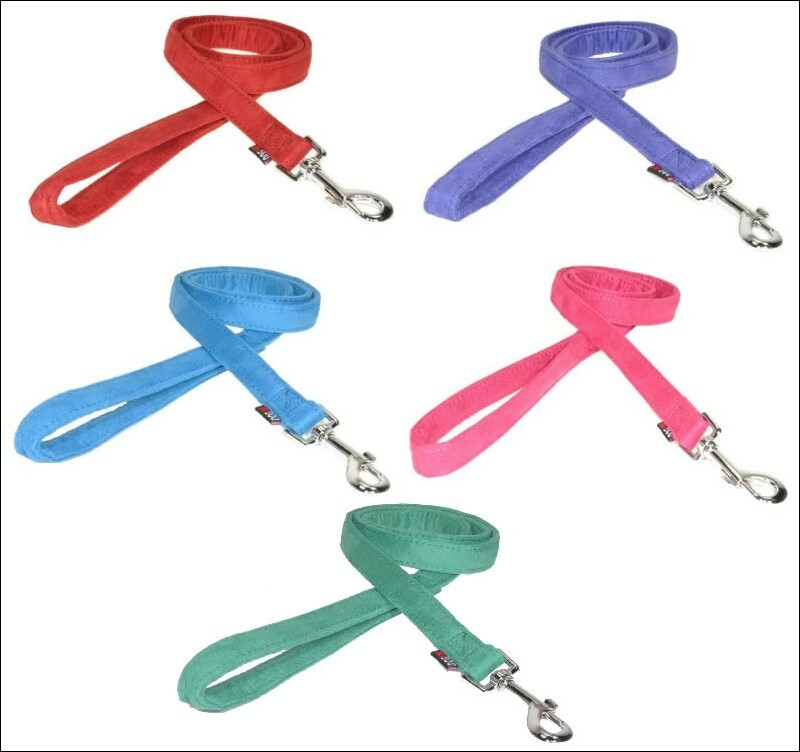 Home > Dog Wear > Leashes > Dogline Comfort Microfiber Flat Leash - 6' x 3/4"
Each Dogline Comfort Microfiber Flat leash is made of durable microfiber material that provides exceptional comfort in your hands. This soft yet strong leash made from an ultra suede-like material is fully machine washable and can be used for all types of outdoor activities. The leash's padded interior provides maximum comfort and super softness. 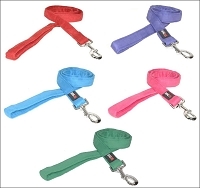 Each leash is reinforced with nylon for added strength and security. With its two-ply design and super smooth surface, your pet will definitely feel special. Leash is 6' long and has a width of 3/4" with silver leash clip.